Customer service is key at Amsted. We are dedicated to maximizing client satisfaction, which is why we utilize GuildQuality to ensure we are living up to that promise. So how does that translate to 8 + 5 equaling 10? Through the positive feedback of our clients! GuildQuality is an independent survey company that completes satisfaction and performance reviews by our clients once a project is complete. These surveys provide us with feedback that will help to better understand the areas where we’re performing well and identify any areas for improvement. To obtain the designation of Guildmaster, a company must maintain a minimum of 90% client recommendation, and Amsted has consistently exceeded this score. In fact, thanks to positive client feedback, we recently won our 8th consecutive Guildmaster Award with Highest Distinction! Out of hundreds of applicants across North America, our happy clients have earned us a spot as one of only five industry professionals in Canada to be recognized by GuildQuality for consistently delivering superior customer care. 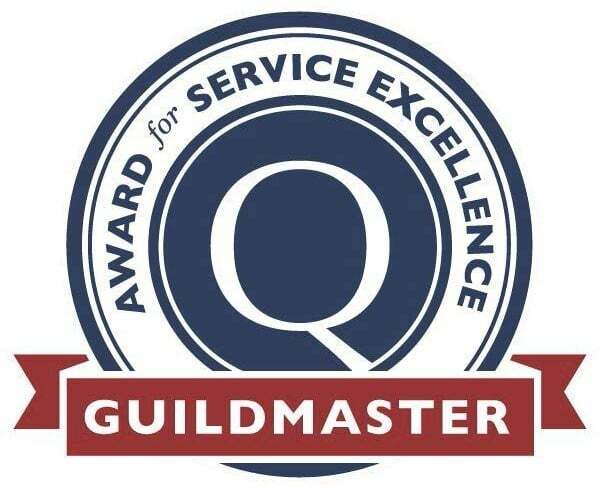 To top it off, GuildQuality has also just recognized Amsted for the distinction of having 5 clients in a row this year say we deliver exceptional service! That means they gave the highest possible score in response to a question about whether they would be likely to recommend us. We are proud to have achieved a recommendation rate of 100% from our past clients, and thank all those who shared their experience with GuildQuality this year.